Not long ago we received the news that our General Manager, Jerome Nickerson, would be leaving the marina to pursue other opportunities in Hawaii. J has been Gangplank Marina's General Manager for a number of years. While we are sad to see him go, we certainly wish him well! 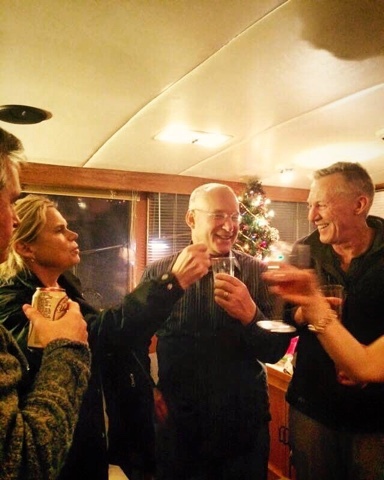 Gangplankers gathered on "Laconic" for a farewell party on the night of December 21, 2015. Thanks for everything and have fun in Hawaii!